Ex-Navy SEAL team shooter Robert O'Neill has reasserted his claim that he alone pumped three bullets into Osama bin Laden, killing the architect of the 9/11 attacks, in a new book. 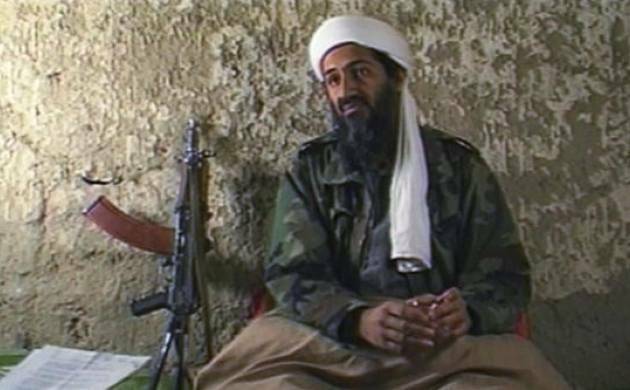 Former al Qaeda chief Osama bin Laden's head was so severely destroyed during the raid at his Abbottabad compound in Pakistan that it had to be pressed back together for identification, a former Navy SEAL has claimed. While controversy still swirls around O'Neill's version of the May 2, 2011, raid, much of it centers on his breaking the Special Ops code of silence. O'Neill, in his book, makes the gruesome claim that Osama's head was so severely destroyed by his gunfire that it had to be pressed back together for identification photographs. The agents were able to lure Khalid from where he was hiding behind a banister by calling to him in Arabic, saying: 'Khalid, come here.' He shouted in response: 'What?' and emerged from his hiding spot, and was immediately shot in the face, the report said. Once upstairs, the men spread out to search the rooms. In the compound with Osama were three of his four wives and 17 children. O'Neill kept his hand on the point man's shoulder. The two were alone on the stairway, convinced that whoever was on the third floor was strapping on a suicide vest for an explosive last stand. O'Neill recounts that finally he decided to take action. He squeezed the point man's shoulder, the signal to charge and then burst past the curtain. The point man tackled two screaming women to the floor. Bin Laden stood near the bed, his hands on the shoulders of the woman in front of him. She was later identified as Amal, the youngest of his four wives, the report said. "In less than a second, I aimed above the woman's right shoulder and pulled the trigger twice," O'Neill writes. "Bin Laden's head split open, and he dropped. I put another bullet in his head. Insurance," he writes. According to O'Neill, the other members of the team rushed into the room only after he placed a 2-year-old boy found covering in a corner alongside Osama's widow on the bed. A harrowing 90-minute flight returned the squadron to camp in Afghanistan. O'Neill's book comes five years after "No Easy Day," fellow SEAL Mark Bissonnette's account of the operation. He agreed to surrender the USD 6.8 million in proceeds from the book for his use of classified information and violation of a non-disclosure deal.